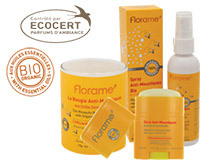 Fill the bottle with your favourite Florame Pure Essential Oils and plugs into any USB Port on your laptop or car. There are three speeds to choose from allowing you to be surrounded by the fragrances from Nature. Experts and pioneers in the distillation of 100% organic Oils by selecting the best oils from around the world. 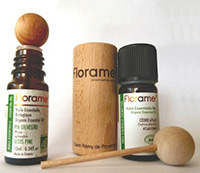 Please use the Contact form on the right for Florame Essential Oils USB Diffuser information and ordering.